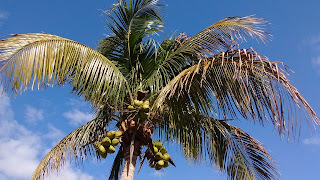 A little late for Palm Sunday, a reminder of Florida is in order. Yes I think those really are coconuts. Better not to stand underneath.